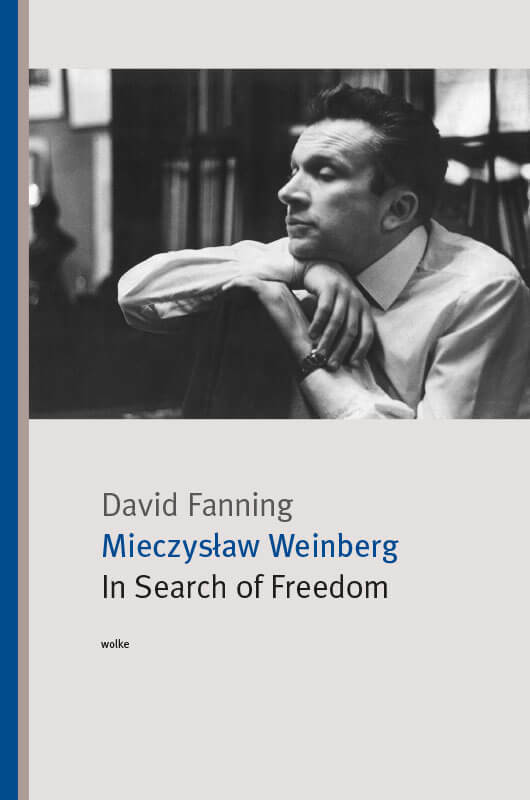 David Fanning’s book is the first full account of Weinberg’s life and works in any language. Drawing on unpublished materials in the family archives and on the personal reminiscences of those close to Weinberg, he tells the story of a composer who devoted his life to music against heavy odds, memorializing those who did not live to share in his problematic freedom. Mieczysław Weinberg (1919–96) made two narrow escapes from the Nazis: in 1939 from his native Warsaw to Minsk, then in 1941 to Tashkent. He settled in Moscow from 1943 until his death, and rapidly became recognised as one of the USSR’s finest composers, enjoying a relationship of enduring mutual respect with Shostakovich. His symphonies, string quartets, sonatas and concertos were championed by artists of the standing of Oistrakh, Kogan, Rostropovich, Gilels, Fedoseyev and the Borodin Quartet, and he remained forever grateful to his adopted country for his life and career. Yet his freedom came at a price. He was chastened by the anti-formalism campaigns of the late-1940s, and in 1953 he was arrested, accused of ‚bourgeois Jewish nationalism‘. The death of Stalin helped to secure his release, and though his health never entirely recovered, he resumed his prolific output. Neglected in his adopted country towards the end of his life, his profoundly humane music has seen a remarkable posthumous renaissance in the West, where his operas in particular are being rediscovered, including The Passenger, which can claim to be the finest musical work ever composed in commemoration of Auschwitz.